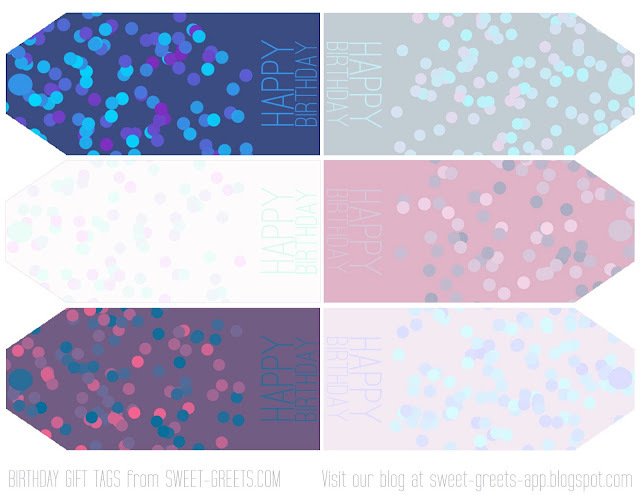 Here are some confetti-style birthday gift tags for you. Just click on the image above to download. Enjoy!